Last Tuesday was both busy and stressful. Like the rest of the country, everyone in my office was feeling the tension from the debt ceiling debate, and most of us had done everything we could do except wait. So, the 10 of us in the Big Room spent a lot of time discussing the various scenarios. It was stressful and interesting, but mostly stressful. After lunch, though, most of the uncertainty was gone. The Big Boss came by in the mid-afternoon to check-in on us and to say thank you, as many of us spent the last few weeks staying late and working on the weekends. All in all, it was the type of day that left me physically and mentally drained, so I was happy to stop by the local wine store and distress while picking about wine options for a wedding shower. I couldn’t not purchase something for myself while I was there, but, oddly enough, I walked out of the store with a beer instead of wine. The beer had a gorgeous deep amber color and a thick, foamy top. It had a strong hoppy flavor that was smoothed out with a pleasant creaminess. For dinner that night, Hubby marinated chicken in soy sauce and garlic, mixed in fresh broccoli and sautéed it. 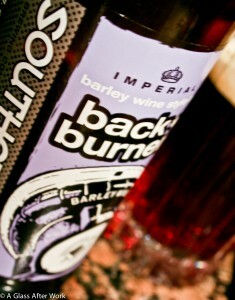 The strong flavors of the soy sauce and the beer complimented each perfectly. I think I sighed with every sip. 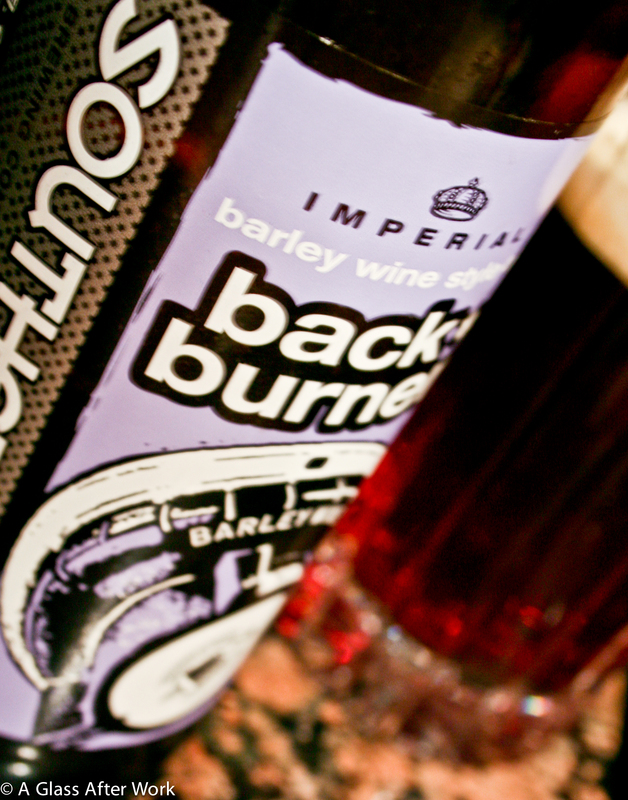 The brewer says the Back Burner Barley Wine is “a celebration of things to come and things remembered” and, considering how the last couple of months have unfolded, that is certainly how I felt when I was drinking it! Oooh, I haven’t seen this one! I’ll have to keep an eye out! Do youve a spam problem on this web site; I also am a blggoer, and I was asking yourself your scenario; weve got produced some nice methods and we are looking to swap options with other folks, be certain to blast me an e-mail if interested.